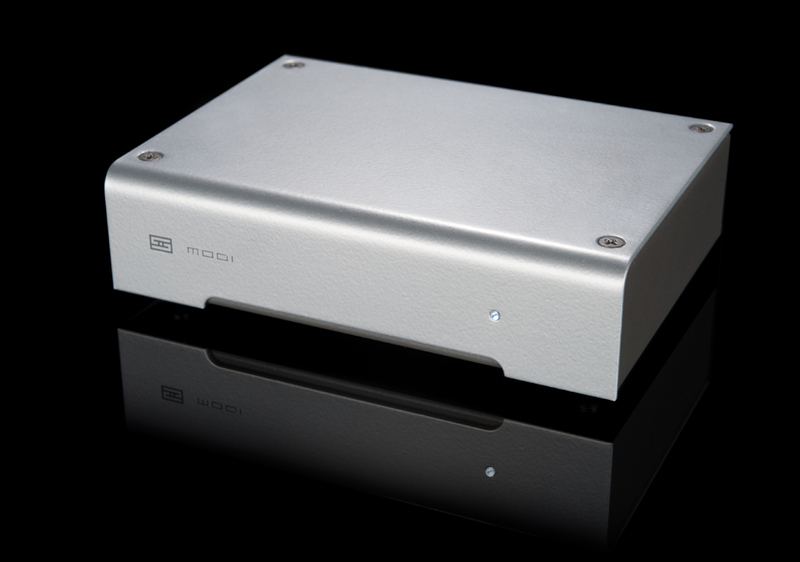 Scaring the Schitt out of the competition: Schitt Audio Modi 24/96 DAC and Magni headphone amplifier. When former Theta Digital and Sumo designers Mike Moffat and Jason Stoddard launched Schitt Audio in the summer of 2010, folks laughed. Mostly because of the name. Some thirty months have since passed and that laughter has turned into tears for those within the industry who failed to comprehend the significance of what these two very experienced designers were trying to do: make high-end audio affordable and appealing to an audience that the industry has ignored for decades. With its brand new $100 Modi 24/96 DAC and $100 Magni headphone amplifier, Schitt is causing the proverbial storm. College students love music but if they have to pick between drinking and a better hi-fi, the bar is going to win every time. College students also spend a lot of time working on their laptops so it is fair to assume that a pair of headphones is going to be included in that mix. Just walk around any college campus or spend some time in a coffee house, and you’ll see that the next generation of listeners is willing to drop a lot of money on a pair of Beats by Dr. Dre cans and a tablet. but the concept of a dedicated two-channel stereo system just doesn’t register – certainly not at the prices that audiophiles are used to paying. Schitt’s most popular products, the Lyrr headphone amplifier ($450) and BiFrost USB DAC ($350-450 depending on configuration), were best sellers from launch because they offered excellent sound quality at a price point that the average consumer could stomach. The competition must have figured it out, because the market is now flooded with similar products from both established players and start-ups. Not only do its products sound great, but look cool as well. Having firmly established itself in a growing segment, Schitt has really pushed the envelope again with these two new products at $100 each. The kicker is that they make everything here at home. Made in the U.S.A. never sounded so good. The Modi 24/96 DAC has one USB input and one pair of analog outputs, so you don’t have to be that clever to make this product sing. Run a USB cable from your laptop or desktop computer and one set of interconnects to either a headphone amplifier, receiver, integrated amplifier, or amplifier and you are done. The Modi works perfectly out of the box with both Windows and Mac and is slightly larger than a small paperback. The Modi is also powered via the USB cable so you don’t have to worry about additional cables or a power supply. 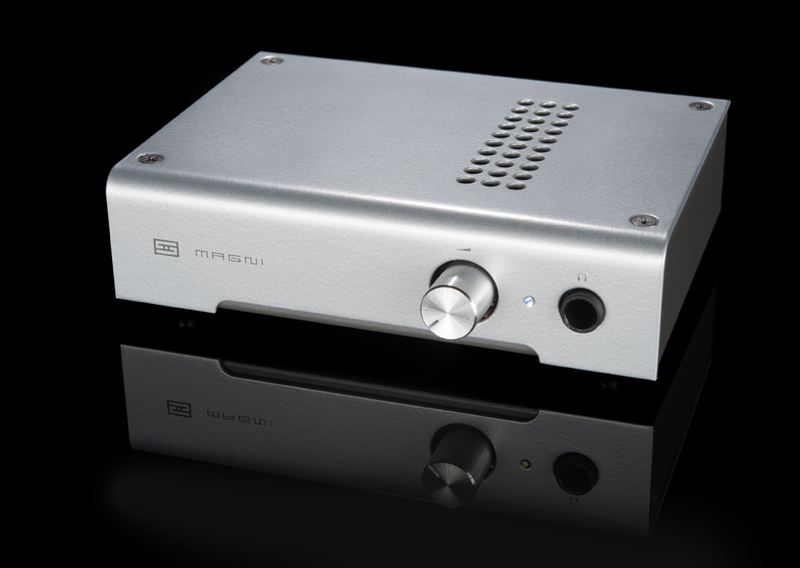 The Magni headphone amplifier uses fancy innards such as a discrete gain stage with low-noise JFET inputs, VAS transistors, and very large output power transistors so that it has enough current to drive really demanding headphones. This level of engineering for $100 is basically non-existent. If you spent a lot of money on a pair of headphones, you would be amazed at what these products can do to enhance the listening experience for only $200.